Over the past three months, four dolphin carcasses were discovered in the Mekong Flooded Forest (MFF), three adults and one calf. After examination, it seems as though only one of the dolphins was killed by gillnet. The other three appear to have died of natural causes; old age, miscarriage (possibly caused by a big storm), and aggressive behaviour from other dolphins (calf). Although there were numerous deaths, as most were natural deaths it means that the work being done in the MFF is effective and it brings hope that future generations could live without threat from illegal fishermen. To continue to work towards this goal and in an attempt to strengthen the Law Enforcement (LE) in the MFF, a two-day technical meeting was held, where the progress of the past 6 months was reviewed and an action plan for the next 6 months was developed. During these meetings, 19 major challenges were identified and an action plan was developed in order to solve them. 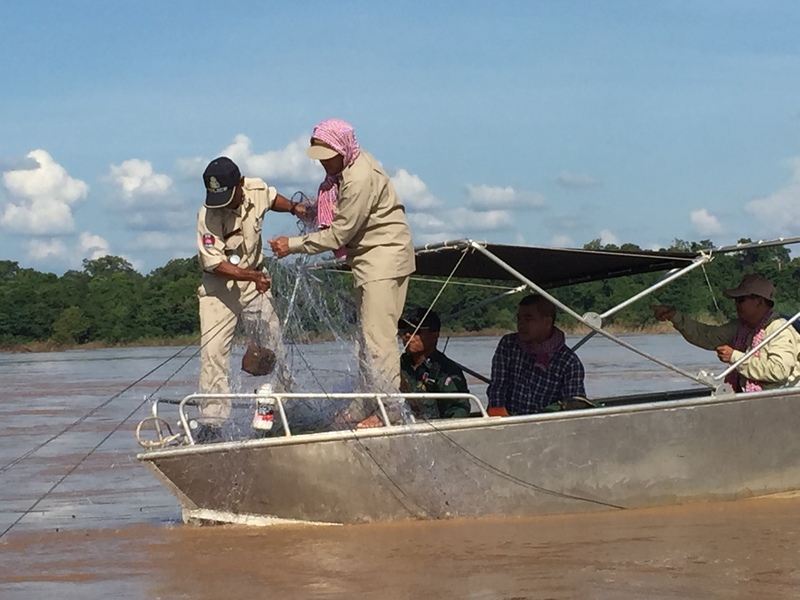 Some of these include: increasing the number of patrols per month, providing equipment to the river guards, discussing illegal procedures and implementing a hotline in the core zones. In general, there was great success for the patrol unit of the MFF. Between 16 and 18 patrols were done each month, which is above the LE standard recommendation of 15 days. The number of gillnets confiscated rose by 14% in June, compared to May, and 50% in July. Part of the action plan discussed in the LE technical meeting was providing sufficient equipment for the river guards. 3 wooden boats and 2 engines were provided to the guards during this period. In addition to this, the action plan states that in order to make patrolling as comfortable and safe as possible, numerous items will be provided. These include boats, engines, torches, cameras, tents/tarpaulins, rain coats, lifejackets, propellers, gas cookers, hammocks, searchlights, flashlight binoculars, multi-purpose knives and boat maintenance. 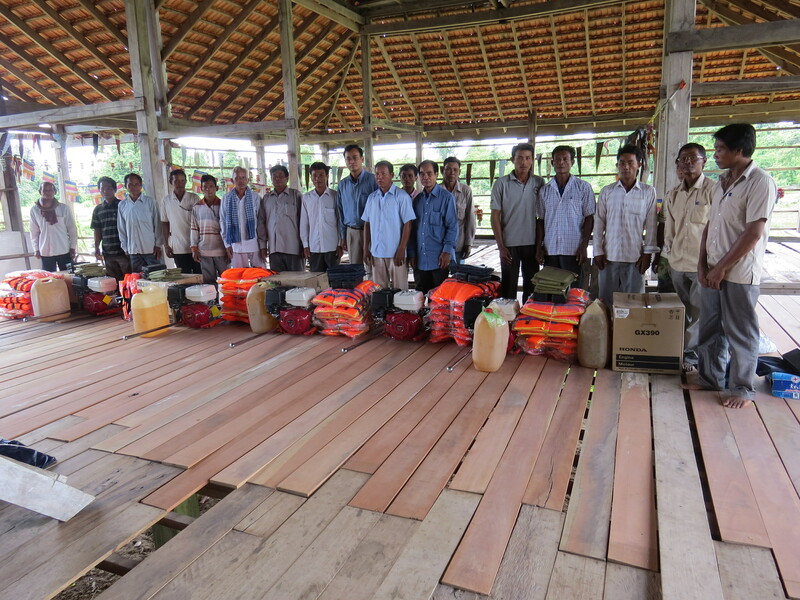 In late June, a road block was established in order to attempt to catch anyone involved in illegal fish trade. This procedure led to the stopping of two vans and one car and the confiscation of 60kg of illegally caught fish. The illegal traders were fined and issued warning letters. 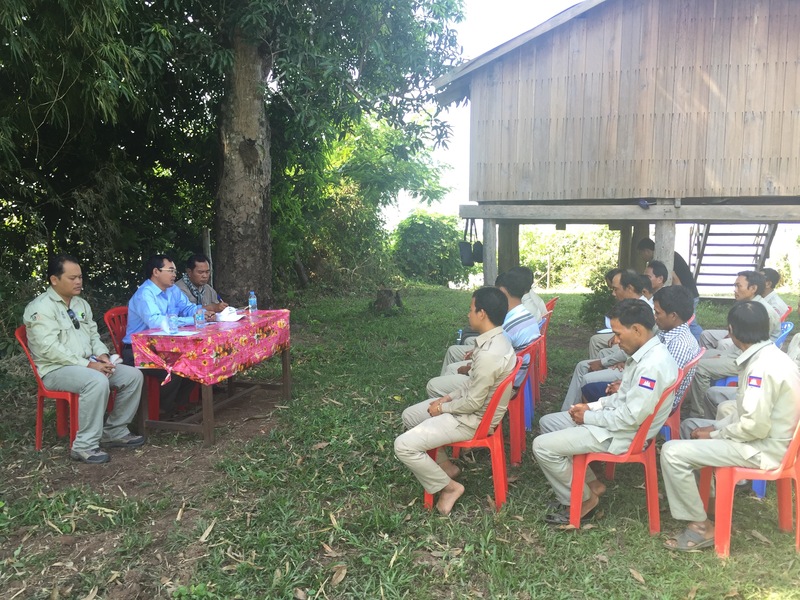 Because the illegal fishermen are often imprisoned for a short time, or not at all, meetings with Kratie and Stung Treng provincial judges and prosecutors are written in the action plan in order to discuss the legal procedure the illegal fishermen must go through to receive the correct prosecution. Though there is still much progress that can be made, the hard work that has been done over the past three months in the MFF is evident. In conclusion, the action plan has been developed and implemented and will help the MFF reach their intended future goals.